Ready to start your own Etsy shop? Etsy can be an intimidating platform because it’s usually the first step crafters take from a local customer base to an international base. All of a sudden, you’re in the big leagues – you need to figure out SEO, how to ship products, how to market your items to someone who can’t physically see or touch it beforehand. There are also tons of great resources available to help you succeed. Etsy has a really comprehensive Seller Handbook which covers everything you need to know to sell on Etsy: SEO, best practices for photography, pricing, branding, shipping – it’s all there! I highly recommend joining the Canadian Etsy Shop Support group on Facebook and read through their files. They have some great resources on setting your shop currency (I have mine set to USD), figuring out shipping, and helpful tips and tricks. Another popular Facebook group is Etsy Canada Sellers, they’re very helpful if you have questions on getting things set up or how to handle a customer. Once you’re signed up, you can join Etsy teams to help promote your items, ask questions and get feedback or advice. 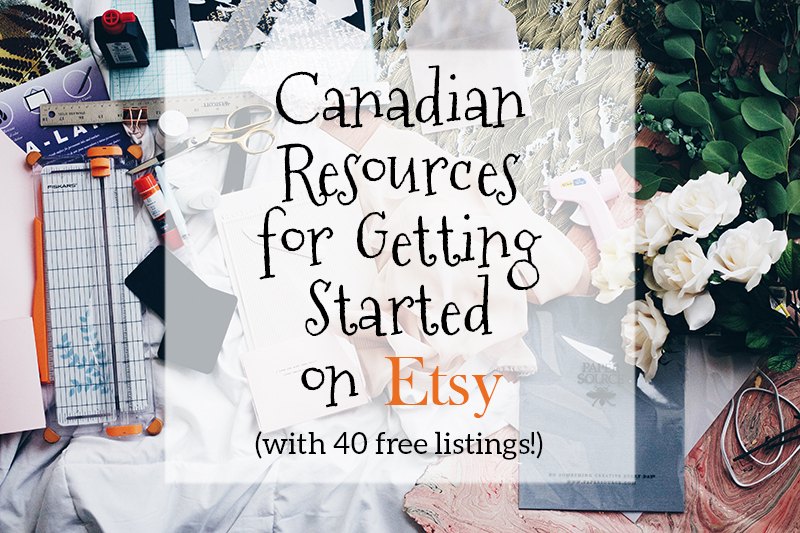 Two of the biggest Canadian Etsy teams are Canada Team and Etsy Canada but there are often smaller, local groups as well that are worth checking out. CreativeLive has a few Etsy videos on topics like getting started, SEO, and bookkeeping. If you keep an eye on their On Air videos, you can watch them for free on specific days. Sign up for an account so you can add them to your watchlist and get an e-mail reminder the day before so you don’t miss out. Starting an Etsy shop is like starting any other business. You can check for local resources, like how to register your business, on this page: Starting a Business in Canada. Depending on what you’re selling, there may be other regulations to follow, like packaging and labelling guidelines or textile labelling guidelines. Canada Post wrote a handy little how-to guide to getting your Etsy store started with some interesting links. You can choose as few or as many countries to ship to as you like. I currently ship to Canada and the US, and about 90% of my sales are to Americans. For shipping to the US, I use & highly recommend ChitChats, which actually makes it less expensive to mail to the US than within Canada via CP. You can try them out with my referral link and get $10 free postage. The downside of them is that locations are somewhat limited. If you’re already selling on Etsy, I’d love to hear how you’re feeling about it! If you haven’t taken the plunge yet, what is holding you back? 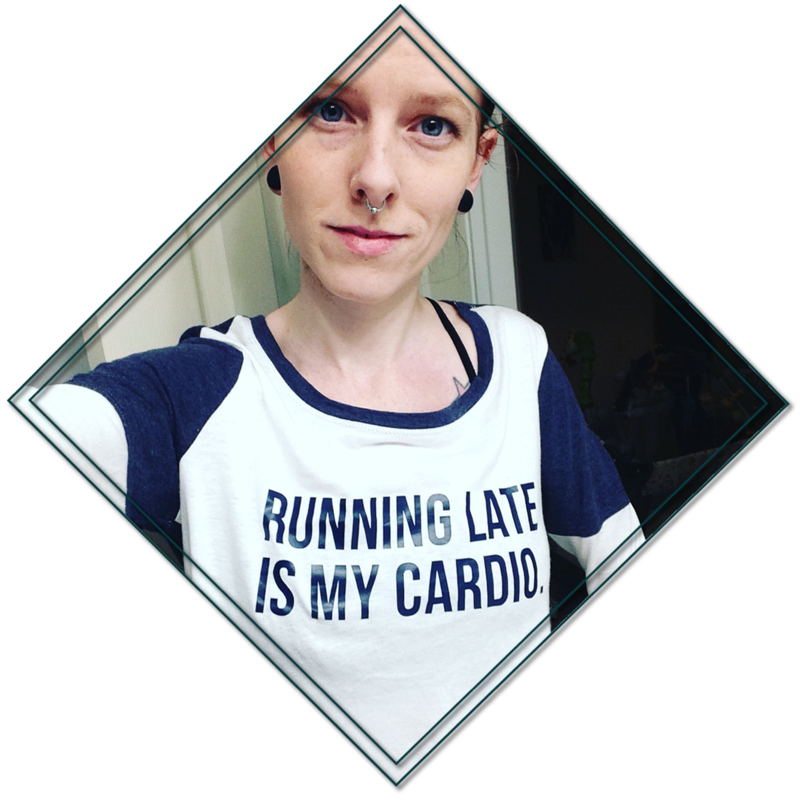 If this post helped you out, I’d love if you could share it on Pinterest!